Wader Quest: STOP PRESS: First Australian Grey Plover tracked to Russia. STOP PRESS: First Australian Grey Plover tracked to Russia. One of our satellite tracked Grey Plovers, Charlie, is now in Russia! 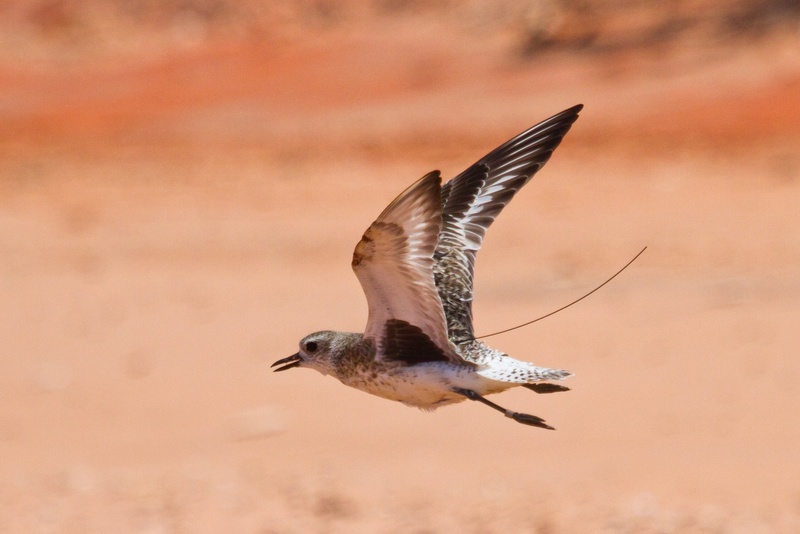 Charlie is the first Australian Grey Plover to be "officially recorded" in Russia and is also the first among the Broome and South Australia satellite tagged Grey Plovers to reach Russia. Charlie departed from Bohai Bay last night, crossing the Chinese-Russian boarder at mid-night and is still migrating this morning heading towards the sea of Okhotsk near Sahkalin peninsular. In 2 days time when the transmitter send its next signal, we'll know when it finally lands. We will bring your the full report with maps when we receive it. 'Charlie' the Grey Plover had his transmitter fitted in Australia and has now arrived in Russia.